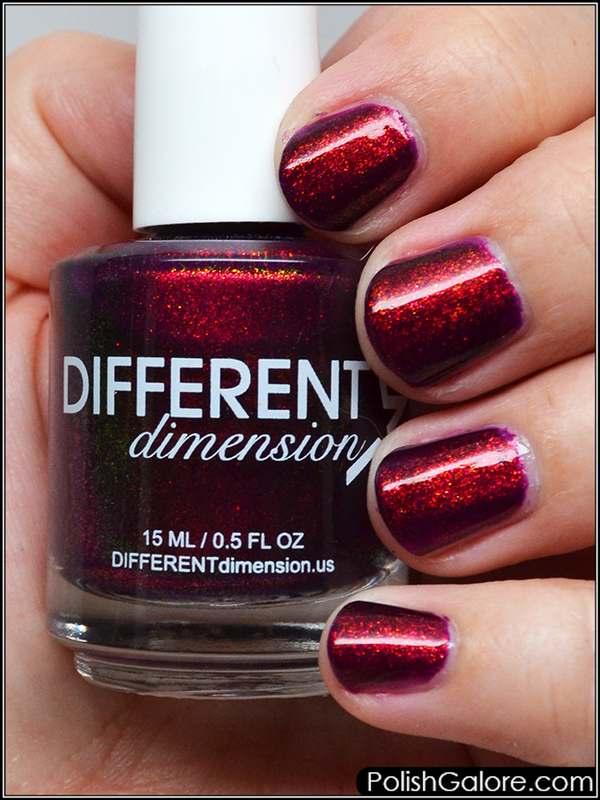 Awhile back, I got this awesome care package from Different Dimension and included inside was Stunning, a purple based polish with red to green aurora shimmer. So the aurora shift is apparent in the bottle but did it show up on my nails? I started with Morgan Taylor React MAX Optical Brighten, 3 thin coats of polish and finished with Glisten & Glow top coat. The formula was nice and smooth but was a little sheer at first. As you can see, the green is pretty lost in my photos but you can see lots of purple and red. This polish really is stunning. 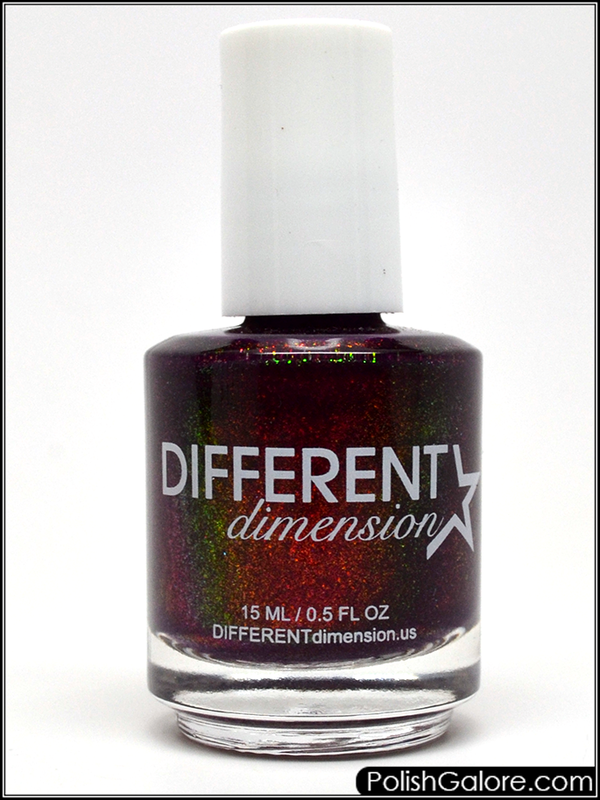 It's currently available on their website under the "You Are Beautiful" collection or as a stand alone polish.